Recently my boyfriend and I visited Costa Rica. On the last day of our trip, we were walking around Nosara and met Bridgette, who had a roadside jewelry stand. I bought a few pieces of jewelry from her and then my "little voice" said, "Please help this family." As it turns out, Bridgette and her husband Warner were having trouble feeding their children and the family was living in a house that had no doors or windows or screens to prevent bugs and mosquitoes from getting into the house. It just had dirt floors, no hot water and no washer or dryer. We would really love to help this family get into a safe, clean house and we would love to get them a car. Currently, they don't have a car and have to go everywhere on a scooter. They have such a hopeful, grateful attitude and even though they don't have much, they are so grateful for what they do have. 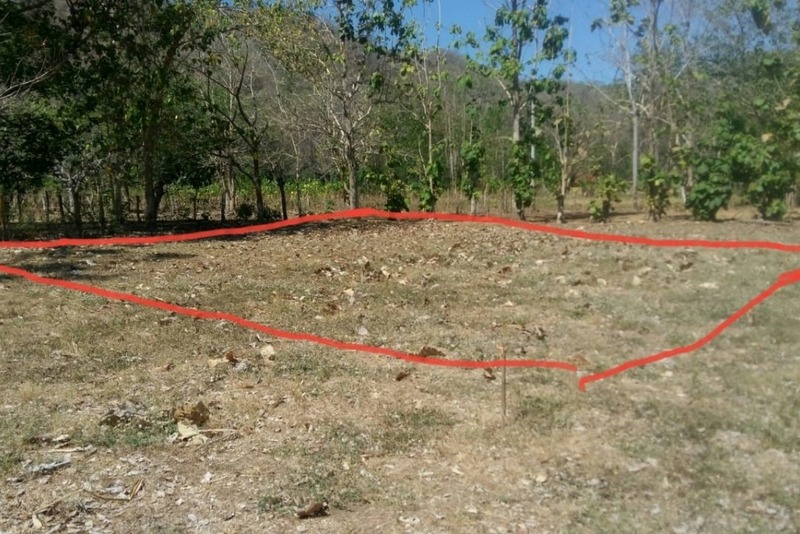 The already own a plot of land and for $30,000 we can build them a small house and also help them get a car. We would be so grateful for your help. I can't wait to see their eyes light up when we surprise them with enough money for a house and a car. Thank you to everyone who has donated money to help this Costa Rica family! The family just their land! We will keep you posted! Thank you so much for all of your help with our fundraiser! A few weeks ago, we went down to Costa Rica to tell the family that we've been doing a fundraiser to raise money to buy them land and build them a home. Thanks again for your generous donations to our campaign. Mac and I arrived in Costa Rica today and tomorrow we are meeting with the family and surprise with the news that we're going to fund building of a house for them! We intend to get any permits, plans, etc. in place on this visit! We would love more donations to support our goal! We have already raised $4600 and we would love to raise $5000 or more still! I will share another update soon! Thank you all for supporting our campaign. Go Fund Me has asked us to post and update with how the funds will be used and delivered. 1. How you are related to the parties you're raising funds for. Mac and Jennifer met the family when visiting Costa Rica and felt called to help them. 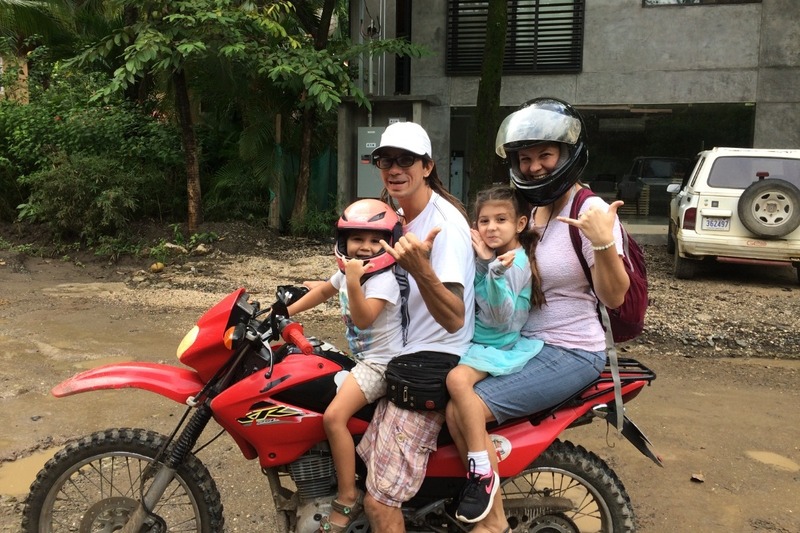 This is a local Costa Rican family with one child that has sever medical issues. The mother was also recently involved in a motorcycle accident where a drunk driver from another county struck her and her youngest daughter while they were leaving a grocery store on their motorcycle. The mother was severely injured and will be scared for life. The drunk driver fled the country without assisting the family. 2. A clear statement that you will be withdrawing the funds and delivering them. The funds will be withdrawn and we will oversee the building of the home to insure the funds are spend correctly. 3. Information on how and when you will deliver the funds. Currently we are holding the funds in a U.S. bank account and then we will open a bank account in Costa Rica and the contractor will be paid directly and there will be an accounting.